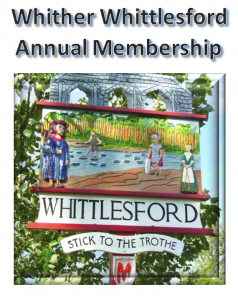 Professor Peter Spufford resigned as Chairman of the Whittlesford Society in September 2017 after many years of excellent leadership. In recognition and appreciation of his dedication and commitment, the Society have elected Peter as a Honorary Vice President with immediate effect. It is regret that we announce that Peter died peacefully, at home, on 18th November 2017. Peter Spufford, FSA, FRHistS, FBA (18 August 1934 – 18 November 2017) was a British historian and academic, specialising in the economics of Medieval Europe. He was Professor Emeritus of European History at the University of Cambridge. In 1979, Spufford was elected a Fellow of Queens’ College, Cambridge. He additionally held positions in the Faculty Of History, University Of Cambridge: he was a university lecturer from 1979 to 1990, Reader in Economic History from 1990 to 2000, and Professor of European History from 2000 to 2001. He retired from full-time academia in 2001 and was appointed Emeritus Fellow of Queens’ College. Prof. Spufford was President of the Cambridge University Heraldic and Genealogical Society for the 1959/1960 academic year. He remains Vice-President of that society. In 1968, Prof. Spufford was elected Fellow of the Royal Historical Society (FRHistS). On 11 January 1990, he was elected Fellow of the Society of Antiquaries (FSA). In 1994, he was elected Fellow of the British Academy (FBA). In 2005, he was awarded the Medal of the Royal Numismatic Society in 2005. Prof. Spufford was married to Professor Margaret Spufford (née Clark; 1935–2014) who was a British academic and historian. They had two children; a son, Francis, and a daughter, Bridget, who pre-deceased them; Bridget is well remembered by Bridget’s Hostel for disabled students in Cambridge. 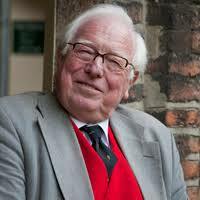 Prof. Spufford died on 18 November 2017. His funeral was held on 24 November at the Church of St Mary and St Andrew, Whittlesford, Cambridgeshire.